Super super quick post today, only one picture. I have lots of homework tonight but I wanted to share something that NO ONE should buy. I am on the search for a clear balm to wear under lipsticks and let me tell you this is not it. This leaves a horrible feeling to my mouth, it taste horrible, and is not something I would ever buy again. I think it's been a month or so since I went shopping, and i was running out of some essential things. I bought a new Neutrogena body clear spray for helping any bacne.I bought a new cleanser I've never tried called Clean and Clear Morning Burst. 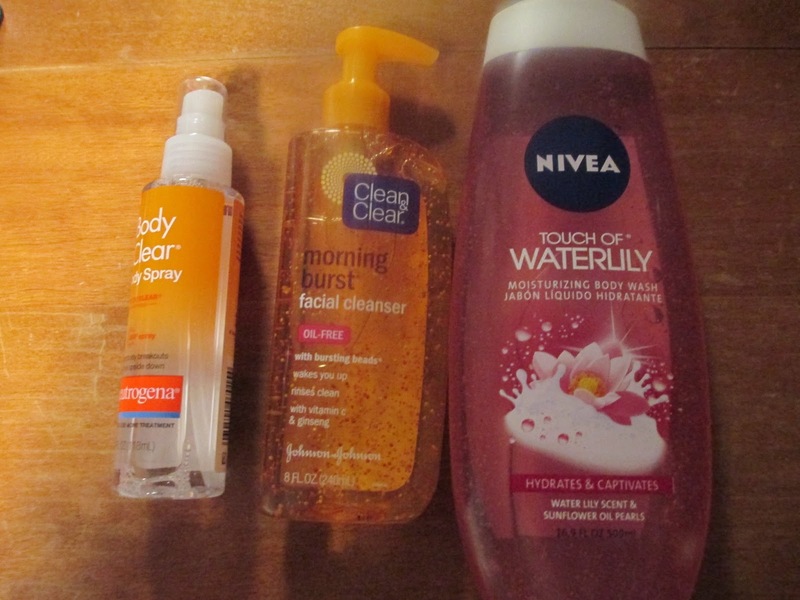 And I'm running out of body wash, so I thought I'd give Nivea Waterlily a try. I bought a pair of shoes a while ago and the end of the shoes hurt my feet, so I bought a random shoe padding. I love the spot band-aids and was running out. I bought more Biore pore strips which prevent blackheads and unclog nose pores. And I bought more oil-blotting sheets since I have oily skin. And these are the only makeup products I purchased. You all should be proud of me! 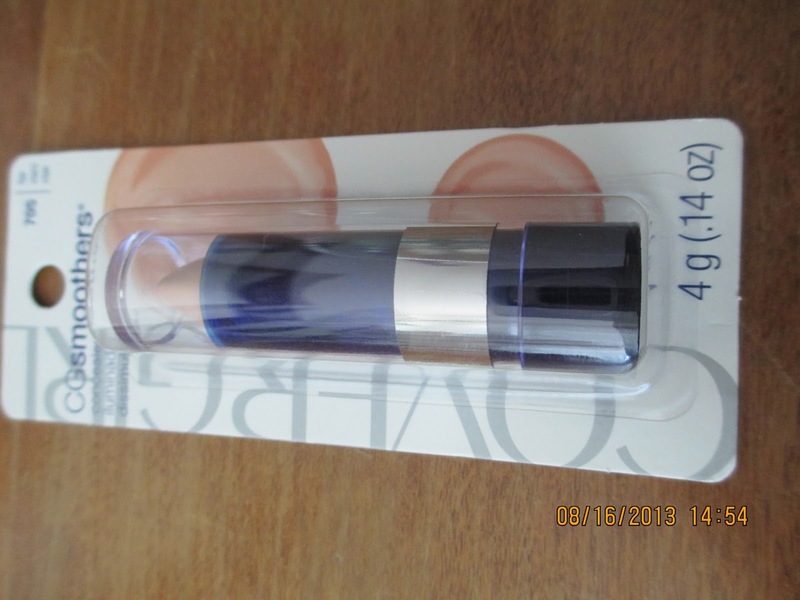 I bought the Sonia Kashuk crease brush, the L'oreal caresse lip gloss thing, and the l'oreal crayon concealer. I also bought some fashion items, and I might do a separate post on that. Comment below! Here is another beauty tip for you, and the subject is toners. I have a feeling most people skip toners because they can be very expensive. I have one that is very affordable, and that is Witch Hazel. It is perfectly safe and works just as good as the expensive stuff only it doesn't smell like delicious fruits. So if you've felt like toner was too expensive, or not necessary, give this a try! 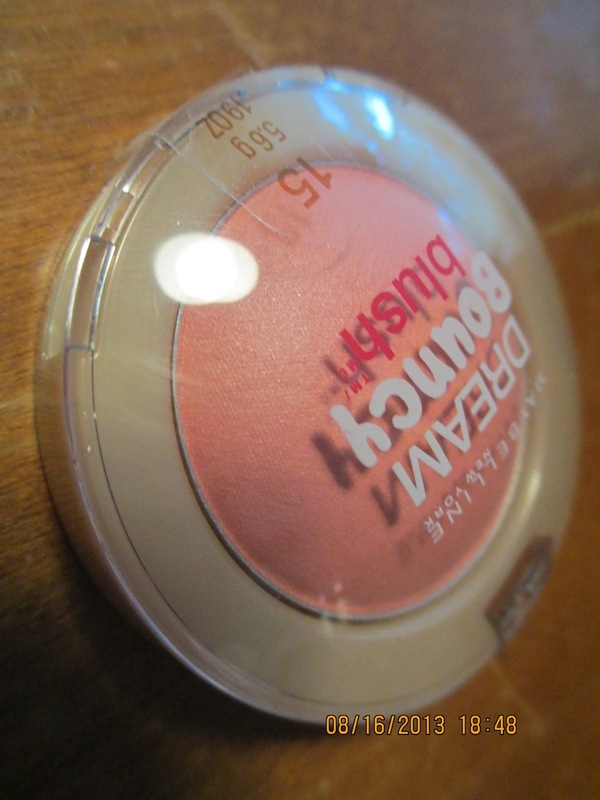 Finally I bought the famous bouncy blush by Maybelline, you probably saw it in a haul. It is affordable at $6, and available in most stores. Here is the outer packaging before I tried it out, the color is Rose Petal. 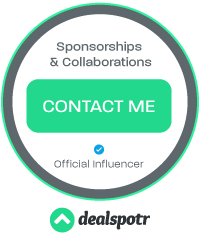 This shows how small the pan of product is, it is smaller than the palm of my hand. After one use it is not nearly as perfect looking, and will be like a gel without much bounce. Here is a thick swatch of the blush on my arm in natural light. I had to layer swatches to get it to show up, but when it did it shows up as the color in the pan. And here I am wearing this blush on my cheek, showing how it adds a natural flush. I used my fingers to smooth it onto my cheeks. WARNING: Do not use a brush! Hairs from brushes will stick to the blush. Hey guys I just stopped by my nearby target to get some extra things that teachers required, and found myself needing a new lip balm. 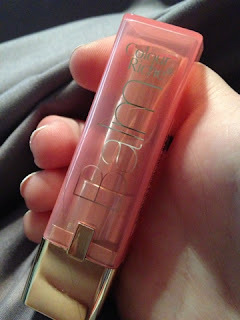 The l'oréal color riche balm cought my eye, at the same price as the maybelline ones. Gotta love this packaging, it looks so expensive! I got the shade Rose elixir, a lovely rosey shade. Here is the color, in the tube it looks to be a bright rose. Here it is on my lips, it is pretty my my natural lip color. All it seems to add is a sheer balmy gloss. Here is a swatch. This is a very sheer balm, but it still gives a nice effect to the lips. It is glossy so that you don't need a gloss, but no so glossy that it won't stick to your hair. The smell reminds me of cupcakes, or Oreos. As for how well it wears, that's another matter. They say 8hr, now that would be a full school day with only reapplying after I got home. Sadly it does not last nearly that long. I had to reapply at least every two hours. This is my favorite concealer for certain places, at this time, and I'd like to tell you why. Here is the packaging before I opened it and started using this almost everyday. This is the color fair, in natural lighting. Here is what I look like without any concealer under my eyes. Here is the product un-blended, it is a bit orangey but that makes it nice for blue dark circles. And here it is all blended out, looking a lot better. And not set with powder. Recommend? Yes! I personally like this type of concealer way better that liquid formulas. It blends into the skin very naturally and covers dark circles very well. I would not recommend for blemishes if you have fair skin since it comes out orange. 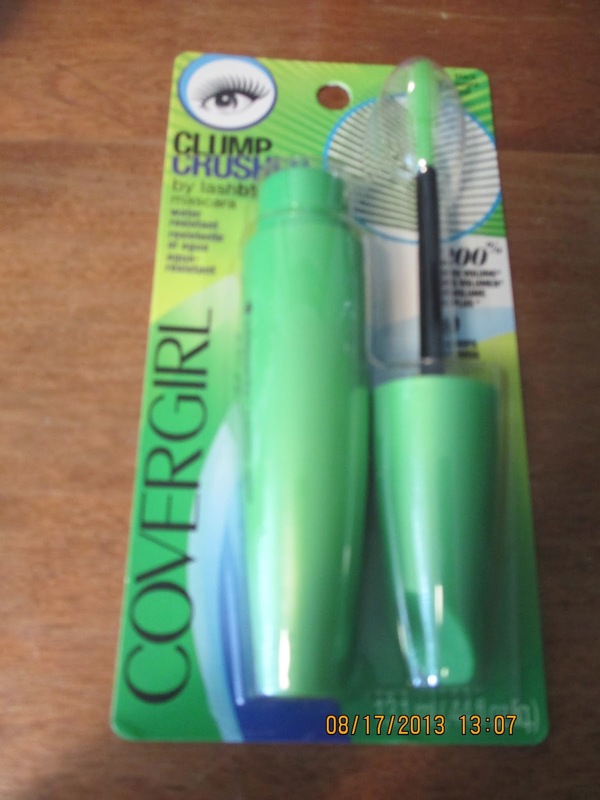 It's a favorite product of the drugstore that has a low price tag, around $4. It's supposed to moisturize lips, and leave them soft and tinted. This is the un-opened packaging of the color peach kiss. Here is the color, it looks like a dark peachy shade. Here it is on my lips. 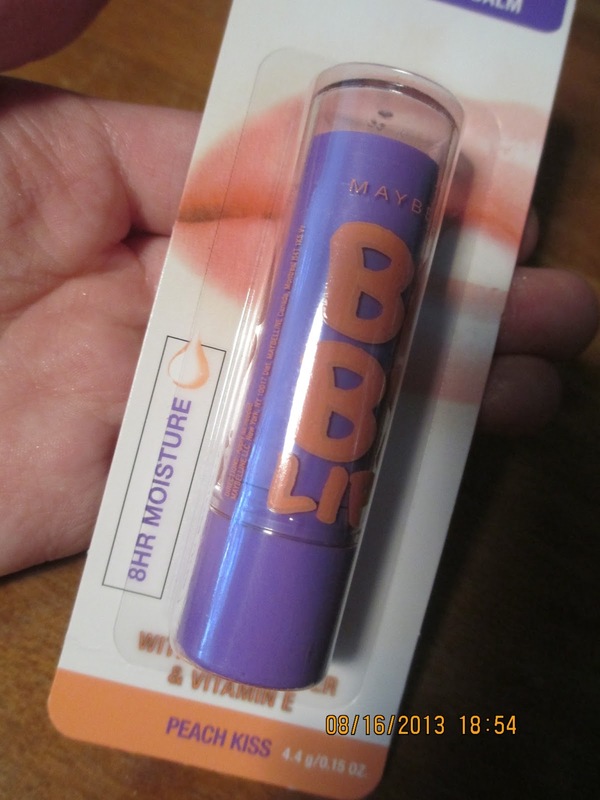 It is very creamy and moisturizing, but it doesn't feel like a balm. Recommend? It's another product not worth the hype. 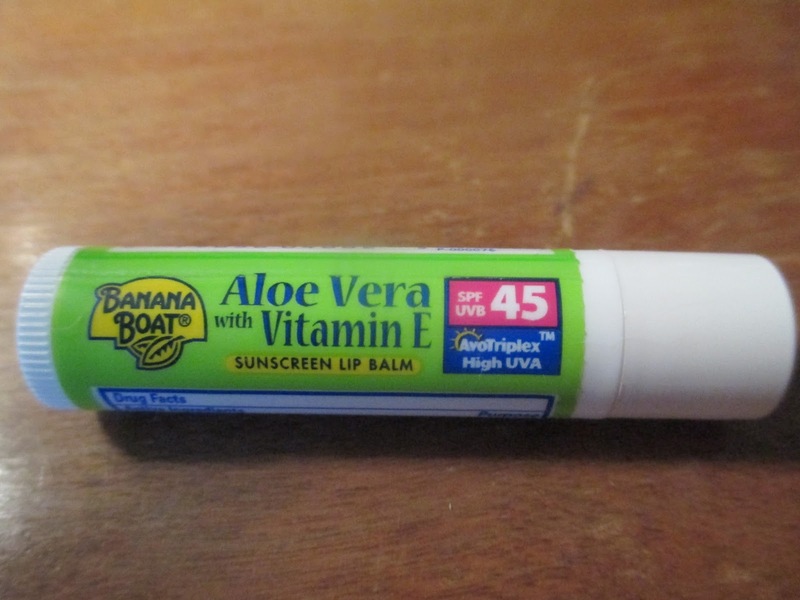 I like using this in the day time to moisturize my lips and give them a natural tint. Mine had some grit in it so that makes me not like it so much but it still keeps my lips soft. I'd say if you still haven't tried one go and find a shade that you like. I do recommend this more than the neutrogena moisture color stick.